Ever year I write a blog, a newsletter article, send out a tweet and post on Facebook about applying preemergent herbicides for summer annual grass control. 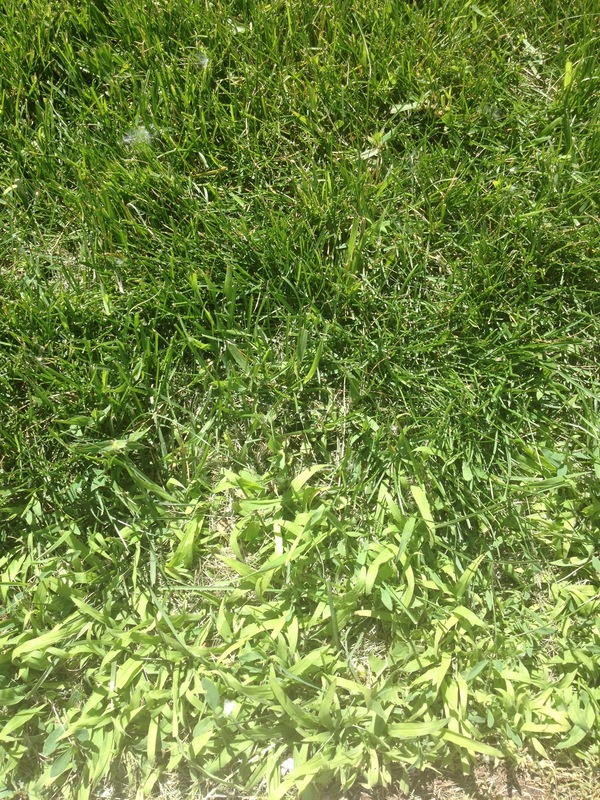 We are typically most concerned with crabgrass so I went back and searched through the blog posts and articles and believe it or not it is all still relevant information! Not much has changed, so for this article I am going to spotlight information across these articles and compare from when I originally wrote it. Up first, Methods of Predicting Crabgrass Emergence! In this article I go over the different methods to predict when crabgrass emerges; calendar date, soil temperatures, forsythia blooms, growing degree days. Like last year we have had a fluctuating Spring. In the article from March 14, 2017 I stated that it was 80 deg F on the 12th and was snowing just a couple days before. Sound familiar? Refresh yourself on the different methods and know its not too late to get preemergence herbicides out. Next article is for all you golf course turfgrass managers. Preemergence Weed Control in Bentgrass Putting Greens. This article was also from March 2017 and I went through what preemergent herbicides are available to use on bentgrass putting greens. The list of herbicides was from the Turfgrass Weed Control for Professionals 2017 Manual (https://mdc.itap.purdue.edu/item.asp?Item_Number=TURF-100). Going through the 2018 edition…. Guess what again? 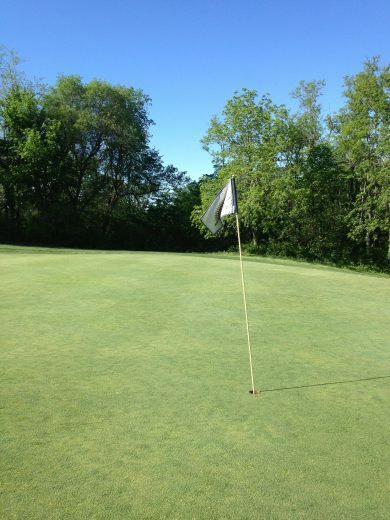 Not much has changed for use on putting greens but I would encourage you to check out the manual and read the “Tips for Herbicide Use on Golf Course Putting Greens” section on page 108. Golf course superintendents in KS typically have to manage annual bluegrass in putting greens and not so much “control” it because of the large populations of annual bluegrass that exist in the putting greens. One of annual bluegrass management practices is the use of PGRs. This is combination with aerification, pre-emergent herbicides, fertility and proper irrigation management, just to mention a few, can lead to the success of reducing annual bluegrass populations and increasing bentgrass incidence. Timing of the PGR applications in the spring can be one of the most difficult tasks. Too late can lead to a summer of playing catch-up. The use of Growing Degree Days (GDD) can really help predict PGR application timings. Just type in your location on the “Proxy/Primo Seedhead Timer (GDD 32)” page and it will give you the GDD in your area. Earlier applications have seen to be more effective than later applications so try and get a Proxy/Primo application out after two mowings (full green-up) or 200-250 growing degree-days on the GDD 32 model. The Target Range is 200-500 but greater success has been seen when the initial application was made earlier. In 2014 Manhattan, KS reached 200 GDD (base 32) on March 15th. Right now Manhattan is at 5 GDD. But watch out it can catch-up real quick! 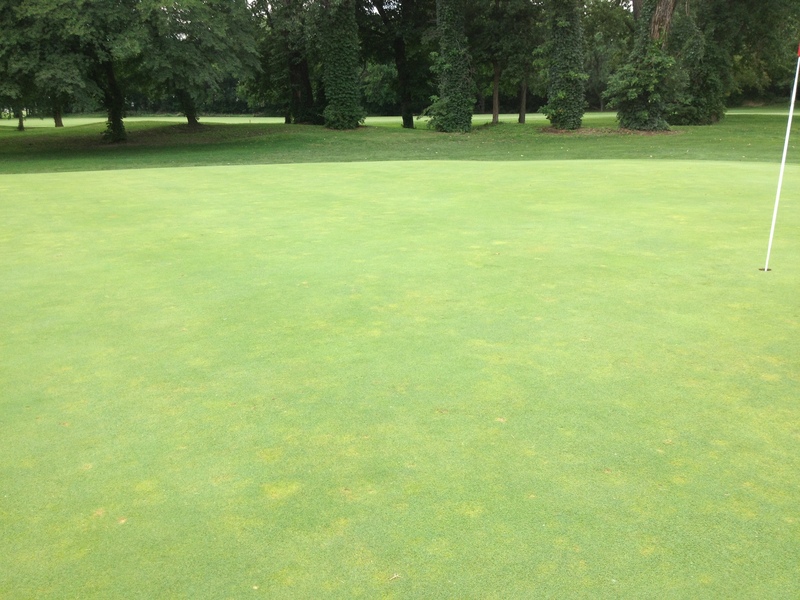 Research conducted out of MSU suggests that tank mixes of Proxy/Primo for Poa annua Seedhead Suppression on bentgrass greens should be made at 5 + 0.125 fl oz per 1000ft2. A repeat application can be made 21 days later. If golf course superintendents plan on applying Primo throughout the season then they can start their program 14-21 days after the tankmix treatment. Information contained in this blog can be found at http://www.gddtracker.net/about ; Dept. of Crop and Soil Sciences, Michigan State University.